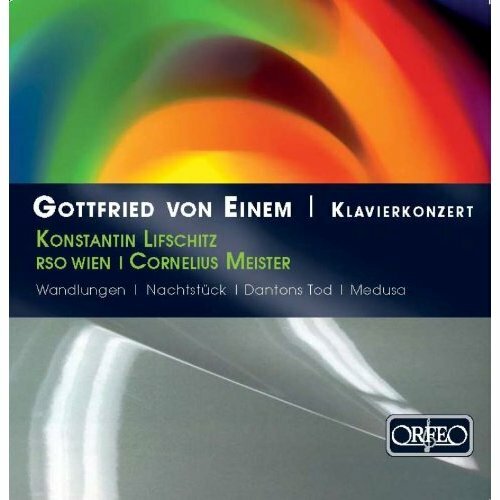 There was a time when the Swiss-Austrian-German composer Gottfried von Einem (1918-1996) was performed by all the great orchestras, from Los Angeles to Berlin to Tokyo. Somehow that was not enough for repertoire-traction. Once you hear his Piano Concerto—commissioned by Dimitri Mitropoulos, dedicated to Alma Mahler-Werfel—you won’t believe Konstantin Lifschitz’ is the first modern recording of it. It’s a spunky late-Romantic thing that tinkles through three movements, just a little less lyrically than Ravel’s concerto. The orchestral music speaks the same modern-yet-tuneful language, most seductively the “Night-piece” which Eugene Ormandy commissioned, but never performed; his and the Philadelphia audience’s loss.